Sheltering Arms partnered with Rise in 2015-16 to run two writing workshops for foster care agency staff. Stories focused on the steps staff have taken to work effectively and establish positive relationships with parents. After the first writing group in spring 2015, staff shared their stories with Sheltering Arms senior leadership, and two participants read their stories at a Sheltering Arms board meeting. 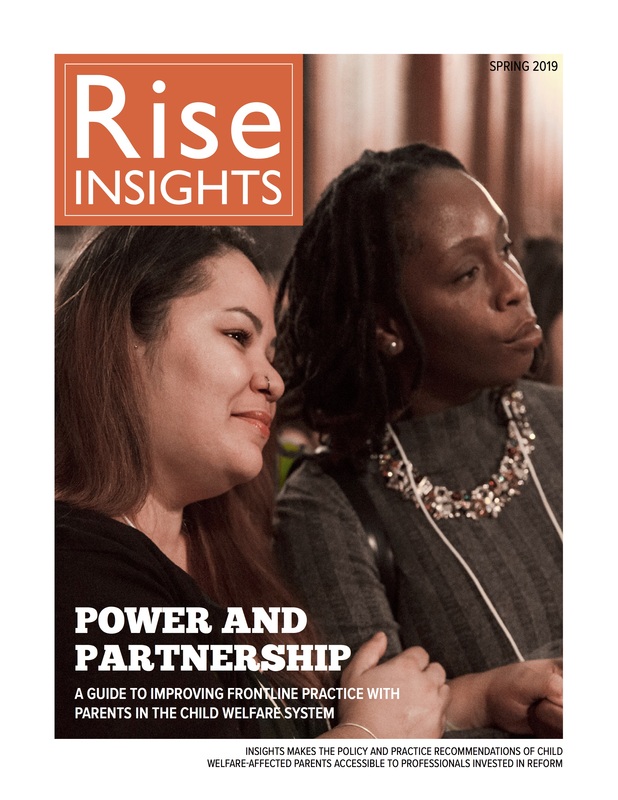 Rise published the first installment in Spring 2016, along with parent-written articles about working with caseplanners and efforts to improve caseplanner training and support. Transparency and Trust – As a caseplanner, I know I have power over parents’ lives – and I try to share it. Making a Connection – A moment of understanding changed my relationship with an angry father. Partners in Planning – When parents are supported to participate in planning, we can make better decisions. Overwhelmed – High caseloads and paperwork make it hard to invest in human connections. Meeting Parents Where They Are – Accepting my own feelings helped me accept the parents I work with. Safe Enough to Grow – Both parents and caseworkers need to feel supported and accepted.